The apex court has ordered senior leader Mr L.K. Advani and a few others to respond on a plea against dropping of criminal conspiracy charge against them in the case of Babri mosque demolition. The point of contention in these pleas stems from the fact that two FIRs were lodged in the wake of the demolition of the Babri Masjid. One was filed against the kar sevaks who allegedly demolished the mosque while the second named several leaders for “making provocative speeches” to instigate the kar sevaks. Shiv Sena leader Bal Thackeray’s name was removed after his death. The conspiracy charges against these leaders were dropped by a Trial Court in 2001 on the ground that the case related only to the volunteers who razed the mosque and upheld by the Allahabad High Court in 2010. The CBI appealed against the High Court order but only after nine months. Advani and others sought dismissal of the CBI petition, citing delay as reason. CBI and BJP were now issued notice by Chief Justice H.L. Dattu, on a separate plea, which was filed by Haji Mahboob Ahmad, who is also one of the petitioners in Babri Mosque case. Haji Mahboob Ahmad, in his plea alleged that, “CBI may dilute its stand in the wake of the change in the government at the Centre”. Mehboob has a locus standi in the case not only because one of the petitioners in the title suit in the Ayodhya land dispute case, but also because he is a witness (CBI’s tenth prosecution witness) in the case at Rae Bareli. “It is further material to submit that in the last one year there has been a change of Central government wherein the leaders of the same political party [BJP] have become the … government ... The CBI may not seriously ... uphold the rule of law,” the petitioner alleged. Mr. Ahmad’s Petition also contends that the Trial Court made an “artificial distinction” and bifurcated the actual demolition and instigation into separate cases. The Petition challenges the very criteria applied for separation of trial into the mosque demolition. “It is submitted that the bifurcation attempted by the trial court, which has found favor with the High Court is completely erroneous in law. 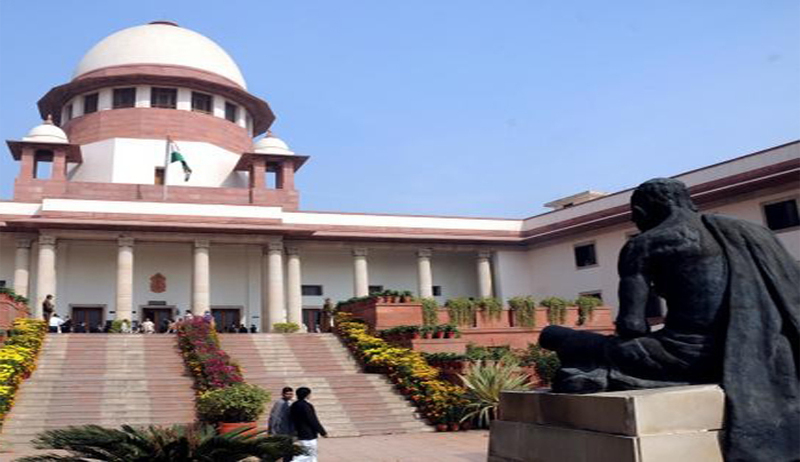 The acts of instigation, facilitation, the actual demolition of the Masjid, the continuous assault on the media persons, thus form a single connected transaction and can well be a concerted conspiracy under Section 120B of the IPC,” the petition argued. The apex court has been hearing CBI’s appeal where 2010 Allahabad High Court verdict was challenged. The High Court had discharged L.K. Advani and other senior leaders of BJP and Hindu outfits from the charges of criminal conspiracy in the demolition of the Babri Masjid. The response has been directed to be submitted in four weeks.